cThe agritech sector has been buzzing since a large Australian event was held last month. In Melbourne, AgriFutures Australia hosted EvokeAG, an event designed to bring together the agritech community. Over 1,100 attendees, including a strong contingent from New Zealand, were treated to a great overview of where the industry is at, what are the big innovations, key challenges, opportunities and who the principal players are in the agritech space. The programme covered panel discussions on everything, from field robotics and agriculture 4.0, to alternative protein farming and tech investments. Mr Wren-Hilton has provided a lot of drive and excitement for the agritech sector in NZ. He recently announced a number of US-based partnerships, including with Farm2050 and Western Growers, to help open more doors for NZ’s agritech companies. New Zealand is in a strong position to capitalise on the growth in the agritech and the global need for a more productive food sector. In continuing the buzz around the sector, another agritech event is just around the corner. While EvokeAG highlighted where the sector is headed, NZ’s MobileTECH 2019 drills deeper into the core technologies making an impact on the ground. Both Mr Wren-Hilton and the co-founder of Farm2050, Arama Kukutai, will be making presentations at MobileTECH 2019. 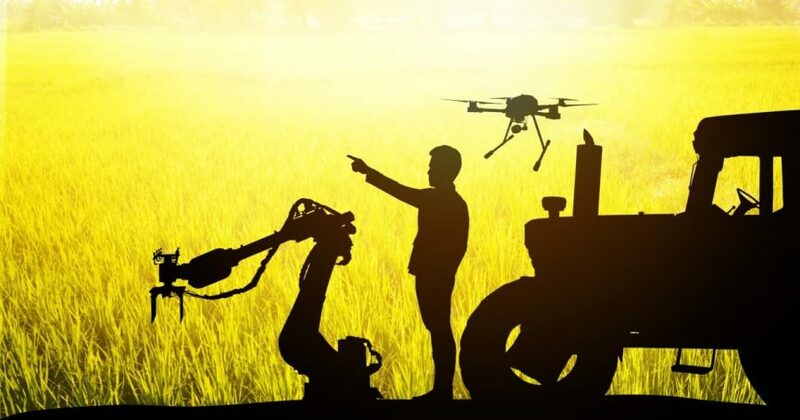 MobileTECH 2019 includes in-depth discussions on the use of artificial intelligence and big data, hands-on applications of data and robotics on farms and examples of the forest industry’s use of drones and augmented reality. “The idea is to showcase how the latest technologies are being integrated into real-world tools for the primary sector,” said Ken Wilson, MobileTECH’s programme manager. “It’s an event where tech developers and early adopters can meet to better understand the innovations and work out how it can benefit their businesses,” said Mr Wilson. An early kiwi agritech innovator, Farmax’s general manager, Gavin McEwen, is one leading the charge at MobileTECH. He has no doubt that the digitisation of agriculture in New Zealand is gaining momentum and will transform how land based business operate in the future. But he will be issuing a challenge in his presentation. “Has information technology failed to deliver for NZ agriculture? In many ways it has. While we did have the opportunity to lead ten years ago, it’s now more important than ever to capitalise on what will undoubtedly bring significant changes to the way we farm,” said Mr McEwen. Another keynote speaker many will be looking forward to is US-based Jim Wilson of Ag Gateway. with the help of PAANZ, Mr Wilson will outline how the world is standardising data systems to enable better opportunities through agricultural digitisation. “As my organization looked into an event where we could network around the application of global standards to New Zealand agriculture, person after person identified MobileTECH as the can’t-miss event,” said Mr Wilson. He will also be running a number of workshops, including one attached to MobiletECH, to add even more depth to these new tools and developments.